Rocket launcher was loaded, aimed, in preparation for future war, Hamas 'just as surprised' as Israel when missiles launched at Tel Aviv. The suspects are believed to have accidentally fired the launcher, which was aimed at the Tel Aviv area in preparation for a future war. According to News 10, the Egyptian delegation in Gaza immediately told the IDF that the missile was a mistake and that Hamas is embarrassed. The missile launch, he said, was not supposed to have happened and surprised Hamas as much as it surprised Tel Aviv's residents. The report also noted that the IDF had ground forces ready in case the situation escalated further, and waited with the aerial attacks until the Egyptian delegation left Gaza. IDF Chief of Staff Aviv Kochavi approved each target, and the purpose of the attacks was to deal Hamas a severe blow without allowing the situation to disintegrate into an all-out war. If the missile was fired intentionally, the IDF would have attacked additional targets in Gaza. 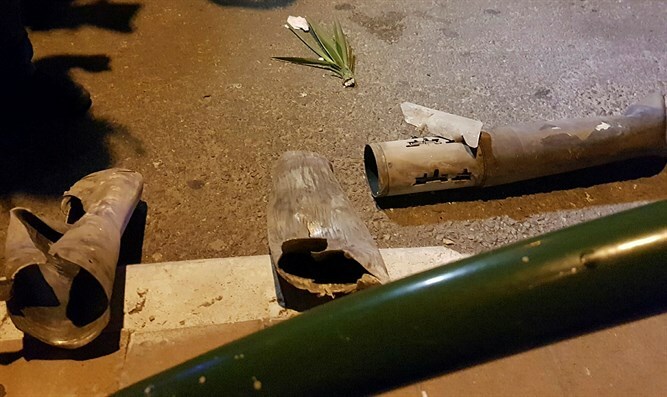 On Friday, pieces of the rockets were found in an open area in Holon and neutralized by police sappers.